A while ago we wrote an article covering the basics of live streaming 360 degree video to VR headsets. That article was written after we were asked to build a VR app capable of playing a 360º live stream, which taught us a lot, but meant we did not have to do the stressful work of setting up the cameras and keeping the live stream in the air. 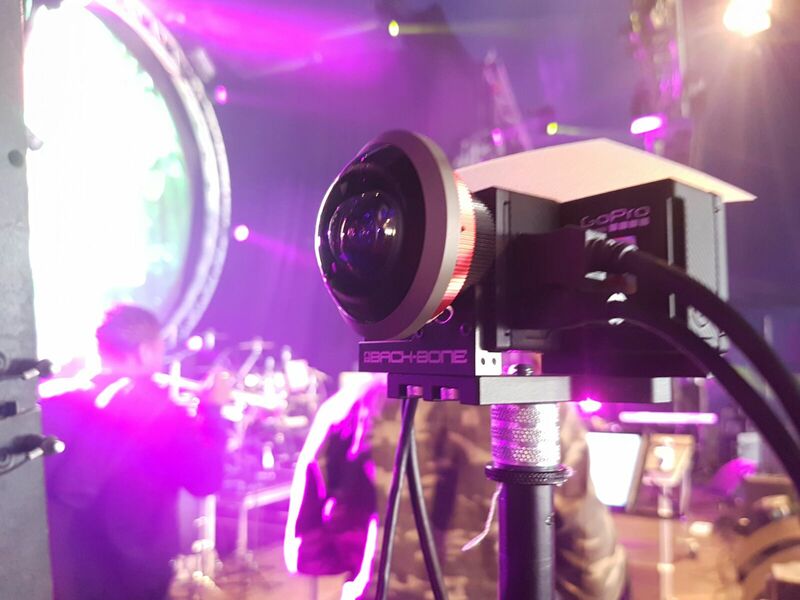 However, we just successfully live streamed several big music festivals in 360º from 3 locations simultaneously, so we actually got our hands dirty this time. Here is what we learned. 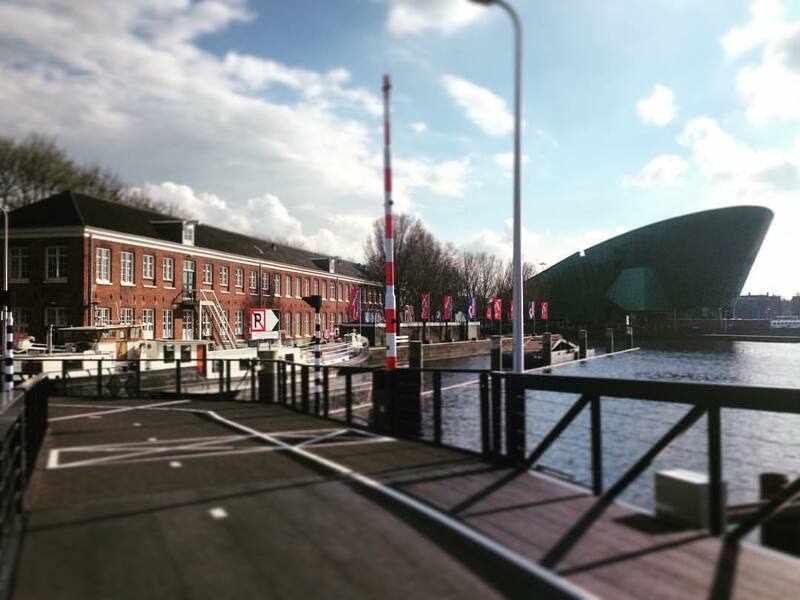 Flying Dutch is a big music festival in The Netherlands which takes place in 3 cities.. at the same time! DJ’s like Tiesto and Armin van Buuren are flown from city to city during the day. 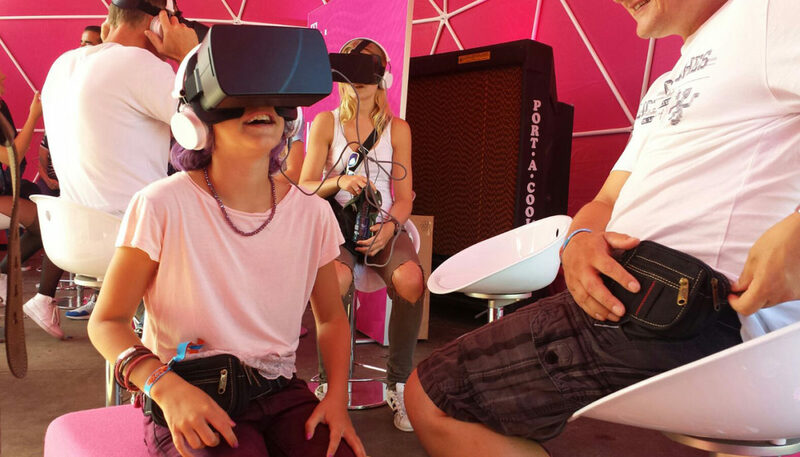 T-Mobile asked us to set up a 360º live stream from each of the locations and let visitors of the festival be “transported” to the main stage of one of the other cities through a VR headset. To make these streams possible, we first had to figure out the entire pipeline. We also had to build a custom VR video player application to play back the live streams in the VR headsets. We later used this same pipeline for 3 other music festivals. The figure below shows a simplified schematic of the pipeline. We went from having no streaming gear to having 3 full sets, including 360º cameras, software licenses and powerful laptops. This was an immense investment and we did not have the pre-payment of our client in yet. Therefore I ordered the cameras first, which were the most crucial and the hardest to get, and then ordered the rest of the supplies in batches, hoping the payment would clear soon. In the end, all of this caused a ton of unnecessary stress, and the lesson for us is to order things on time and to make sure our packages can actually be delivered. Oh, and when in doubt, order black gear. These events love for things to be filmed, but they’d rather not see the camera stand out anywhere. And purchase some proper bags and cases to transport your gear, unless you like being a sherpa for a day. That friendly production lead you spoke to a week before the festival? He will be stressed to the max at the day of the event, and so will all the other people there. Everyone is trying to finish their own thing on time, so do not expect any help from anyone and expect a ton of grumpy, stressed folks running around like headless chickens, screaming at you if you’re in their way. Therefore it is crucial to give your team a thorough briefing beforehand and to have a detailed call sheet with the mobile phone numbers of every important person at the festival. For a streaming gig like this, the most important phone number to have is of the guy who arranges the internet. Because no internet, no stream. Also, bring all the gear you are going to need + more (click here for our checklist, which also includes the steps to setup Vahana and Wowza). We brought our own power supplies, 25 meter long ethernet cables, spare parts, tons of tools and duct tape, and we even had to run to the store to get 3 ultra-powerful WiFi routers, since the event organization failed to arrange them for us. This is also why you should always pay the event site a visit the day before, so that you still have some time to arrange things if necessary. Even if you have visited the site the day before and checked everything, there is still a big chance that several things will have changed when you come back the next day. That’s why I can’t stress enough how important it is to be there way ahead of time, at least 3 hours before, to fix all the stuff that goes wrong. And trust me, things will go wrong. Not being allowed to plug in our power cord anywhere, resulting in us having to wait for over an hour to finally be assigned one (I know it’s tempting, but don’t just blindly plug your cord into the first power socket you come across, because you might just blow some fuses. Actual ones or the fuses of some very stressed out people). In short, be there on time to deal with whatever happens. For our live streaming gigs we have used an Entaniya 250º back-to-back GoPro rig. This rig works great for HD 360º streams, but the mic of the GoPro is not able to handle the volumes of your typical music festival. The sound will either clip or become very soft when the music becomes louder. We looked into connecting an external mic to the GoPro using a combo cable. This option was interesting to us, since we were afraid of big sync issues between video and audio if we would send the mic input separately from the GoPro video signal. This combo cable allows you to charge your GoPro over USB while also offering a mic input port. However, the cable is clunky and the main problem is that the you need a tiny mic so it doesn’t show up in your screen, but you would need a big mic in order to be able to get a decent capture of the extremely loud music playing. So the best way to get a great audio signal is probably to attach an external sound card to your streaming computer and get an XLR input directly from the event’s sound system. No mics needed and perfect audio quality guaranteed. This section might not apply to every country, but in The Netherlands things can get very wet, very quickly. We learned this the hard way during our first live streaming gig. We positioned our camera and other gear under the roof of the music stage we were streaming from, so we thought we were good. Then it started to pour, and the audio guys hurried to save the DJ gear from getting wet, understandably. However, in the process they moved our camera a bit to the side, which made our camera catch part of the shower. Luckily a rice bath revived the camera, but our USB hub was permanently damaged. It could have been way worse, but it taught us a lesson. 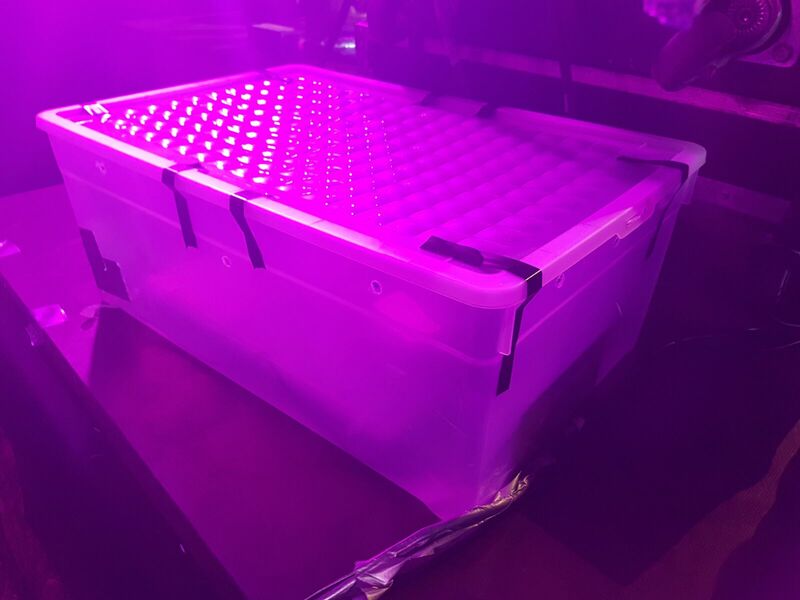 We also thought that placing our computer under the stage was smart, but water simply dropped from the stage down onto it. We now have our computer and most of our gear inside a watertight container. Do give the container some ventilation or else the computer will overheat for sure, but make sure the lid is closed, because apparently people will throw garbage and fries in there otherwise… We also made a small see-through plastic “roof” for our camera to protect the ports, and put a plastic bag around our USB power hub and power cords. We contacted the Vahana team several times and they pointed us to their new 1.1 release, but that version was so buggy that it crashed even before we were able to set up a stream at all. Not a fan, if you couldn’t tell. However, there is no way the stage manager will allow you up there 12 times in one day to fix your stream, so our solution was to install TeamViewer on each of our computers. With TeamViewer, I could log in to our streaming computers from a distance and fix a stream as soon as it went down. In fact, I controlled two of our streaming events from my laptop while being on a holiday abroad. TeamViewer was really a lifesaver and I highly recommend using it. It’s a shame Vahana crashed every hour, because the interface is intuitive and it worked fine when it was up. Still, we can’t wait till Nidia releases their VRWorks 360 video stitching SDK later this year, because the market craves for alternatives to Vahana. We had no issues at all with our Wowza Streaming Cloud server. Most time went into preparing and figuring things out, which I why I hope this blog post will save you some time and headaches. We do not plan to become the next NextVR, but for future gigs we would like to try to up our game a little and stream in 4k instead of the full-HD we used now. And since all these streams were only viewable on the event site itself, we might look into setting up our own WAN streaming server next time so we don’t have to purchase streaming bandwidth from Wowza. 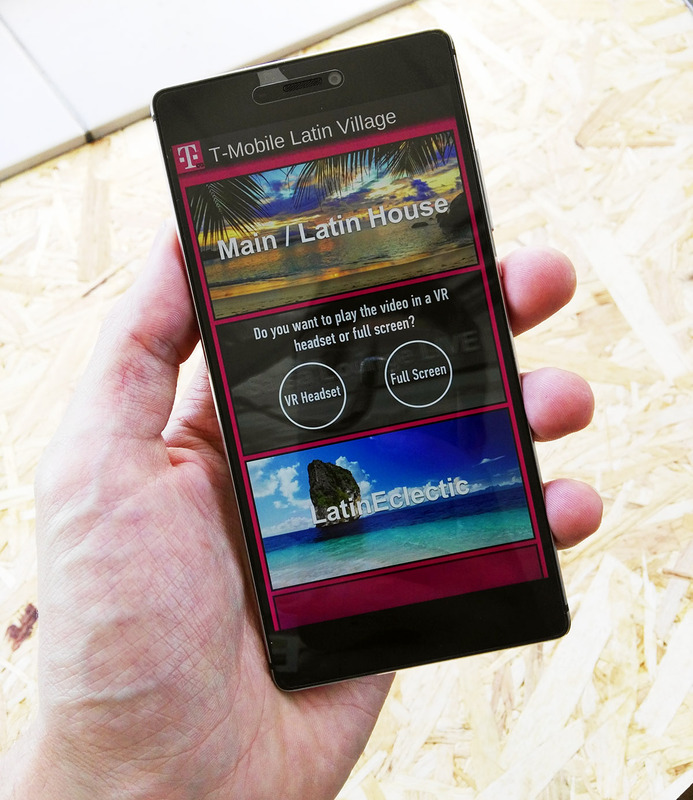 Finally, we would like to thank T-Mobile for giving us this amazing opportunity. Good luck, and feel free to post any questions you might have in the comments below! 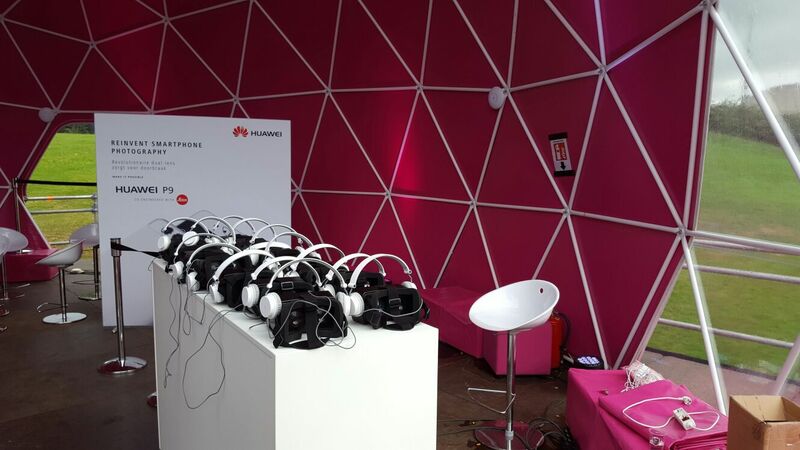 I have to know, if you didn’t have a Wi-Fi network what were you able to purchase that was able to handle a VR live stream? Hi Ted, thanks for your question! 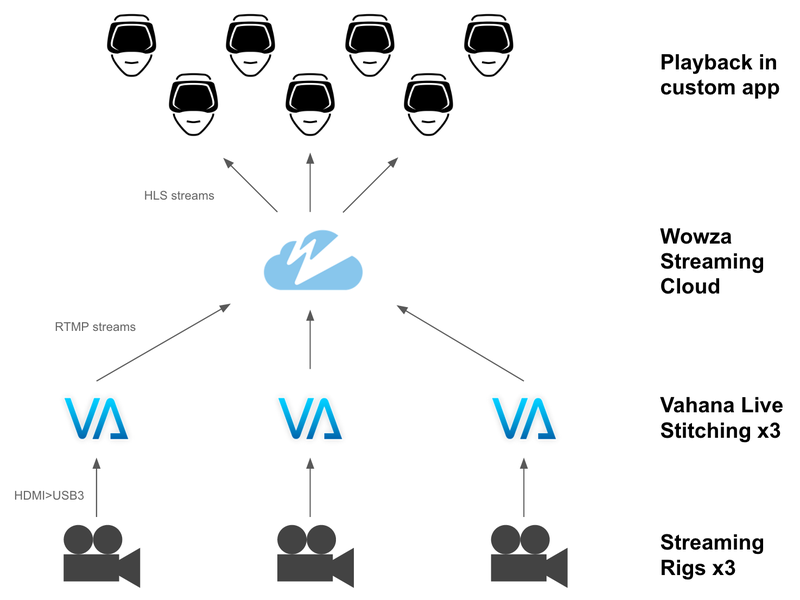 Depends on your goals, we have created a web based live streaming player using WebVR (which also supports Vive), and created a Unity based player. There are indeed many things to consider per headset, so making it multi-platform is not easy. We built https://headjack.io to do just this, so maybe that could be of use to you if you want to have your app ready quickly. What prevented you from livestream at 4k? The cameras output 360 4k right? Hi Artur, the client did not request 4K, but we are looking into streaming in 4K using OZO Live for an upcoming job.